Ahead of the International Day of Forests, the European forest owners and managers call for a clear and firm engagement from all relevant policy-makers and stakeholders at national and European level to strengthen SFM practices as this will ensure adaptation of forest ecosystems to changing climatic conditions and the delivery of the wide range of forest ecosystems services, including contribution to climate change mitigation. Forest fires not only represent a serious danger for human beings and rural areas, environment and biodiversity, but also a serious threat for climate change mitigation potential of forests. CO2 in forests, representing 13% of the net removals of EU’s total greenhouse gas (GHG) emissions, carbon storage in wood products and the substitution of fossil material and energy play a crucial role for climate change mitigation. When forest fires occur, all those benefits are wiped out. 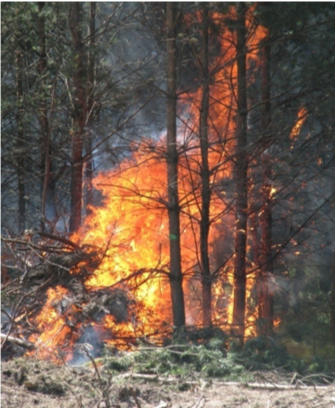 Worst, it is estimated that forest fires could release twice as much GHG emission every year as the overall European transport sector, fastening the climate change process. Such a downward circle must be avoided. European forest owners and managers strongly believe that Sustainable Forest Management (SFM) practices have an important role to play to foster the multiple benefits of forests, while improving their resilience against forest fires, thus reducing their impact on climate change. Read more in the Joint Statement: Climate change and forest fires in Europe – Downward circle must be avoided! More about the the Conference co-hosted by MEP Nuno Melo (EPP/PT) and MEP Andrzej Grzyb (EPP/PL) on 20 March 2019 at the European Parliament in Brussels can be found under this link.